84.00€ Bottle 75 cl Tax incl. Capacity (cl): 75 Serving temperature 17º C.
Graduation (% vol. ): 13,50 º.
Bigarreau cherry red with outstanding tears. 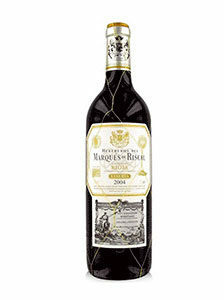 Complex nose, with aromas of red and black fruits, compotada fruit, balsamic and spices, with floral and mineral notes. 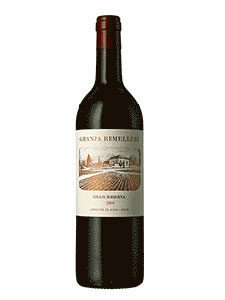 In the mouth it is elegant, tasty, unctuous, structured, with a great fruit load and well-armed tannins. Finca El Bosque, of 1,4 Has., located in the surroundings of San Vicente de la Sonsierra. Altitude: 500 m.
Clay-calcareous soil with abundant gravel and pebbles on the surface, high plantation density and low production per hectare, organic fertilization. Biodynamic viticulture: Year of planting: 1973 Manual destemming, grain by grain. Pre-fermentative cold maceration, alcoholic fermentation in small oak vats of 10 hectoliters capacity. Malolactic fermentation in new French oak barrels. Aged for 18 months in new French oak barrels (95 %) and Central European oak barrels (5 %).